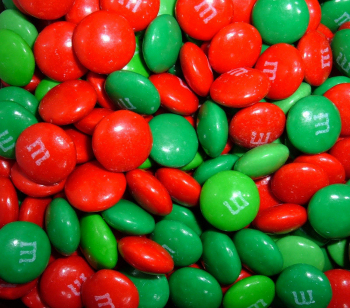 Inside the red and green is delicious brown.note Though one way or another, it all ends up brown. "I have tried to express the terrible passions of humanity by means of red and green." — Vincent van Gogh on "The Night Cafe"
Similarly to red and blue, there's just something about red and green that catches most people's attention. Red and green traffic lights, red and green Christmas colors, redheads with green eyes, Mario and Luigi, etc. In much of the world, this is also red and blue, particularly where Green Is Blue. This contrast is averted in the 1 out of 8 men and 1 out of 200 women who are red-green colorblind , and neither color is distinguishable from yellow either. Red (or similar orange) and green are popular colors to contrast on national flags, often alongside neutral colors (such as white or black) or with in-between color yellow. Yellow is, in fact, the color created when red and green are combined in the light-based RGB color space. But if you try to combine red and green paints, you get brown. No relation to The Red Green Show or Green vs. Red. Color Blind Confusion: When red/green colorblindness comes into play.